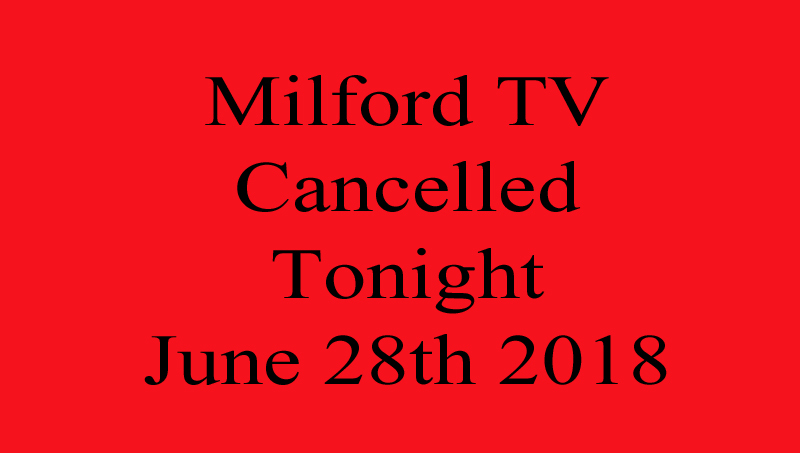 WE ARE CANCELLING MILFORD TV TONIGHT. There are going to be nasty thunderstorms tonight, Thursday, June 28th 2018 exactly in the timeframe of our Milford TV Reception and drop-off. I kept hoping for the weather to slide or change but while it’s milder now they are still forecasting nasty thunderstorms from 5-8pm. We don’t want anyone having to drive through nasty thunderstorms. You can drop off your new art for the Milford TV show any time they’re open. Just check with them to see their open hours. Label the back of each artwork with your name, the title, and price (or NFS). You don’t need to register in any other way. Bring as many pieces as you want – it’s free. The theme for this upcoming show is “Summertime”. Try to get the new pieces in by next Monday or Tuesday so they can hang the new show coherently :). Please ask with any questions! Stay safe!